Don't know how to incorporate an intern into your business? Join us in discussing how you can benefit from hosting interns or volunteers while learning how to create a mutually beneficial relationship. 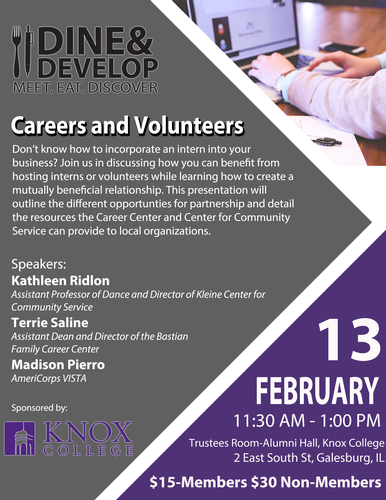 This presentation will outline the different opportunities for partnership and detail the resources the Career Center and Center for Community Service can provide to local organizations.